Please support our Hole Sponsors. You can visit their website, send them an email, or call them at 434-577-2193. 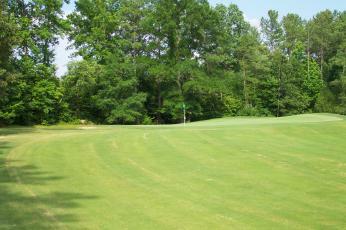 Hole #6 is known by the locals as the Rock Hole. 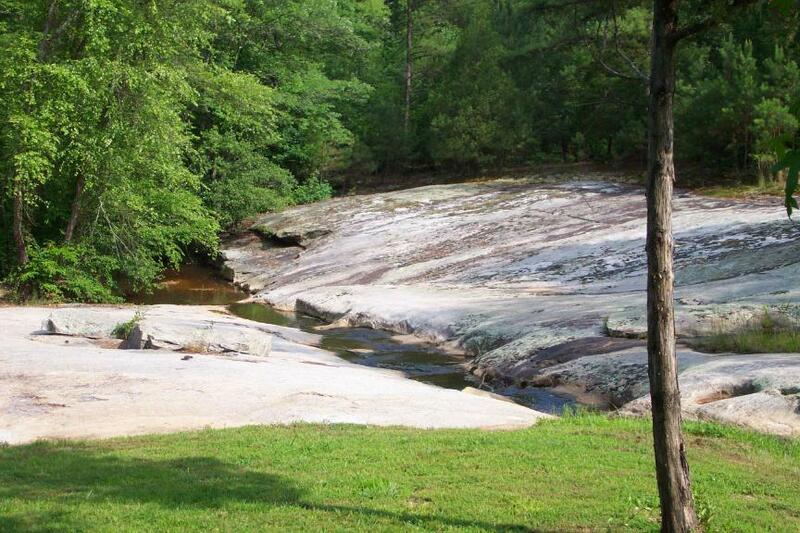 This tricky, 257-yard Par 4 requires that you clear a stream on your drive. A drive left puts you in playable woods, while a drive to the right will put you in the stream. 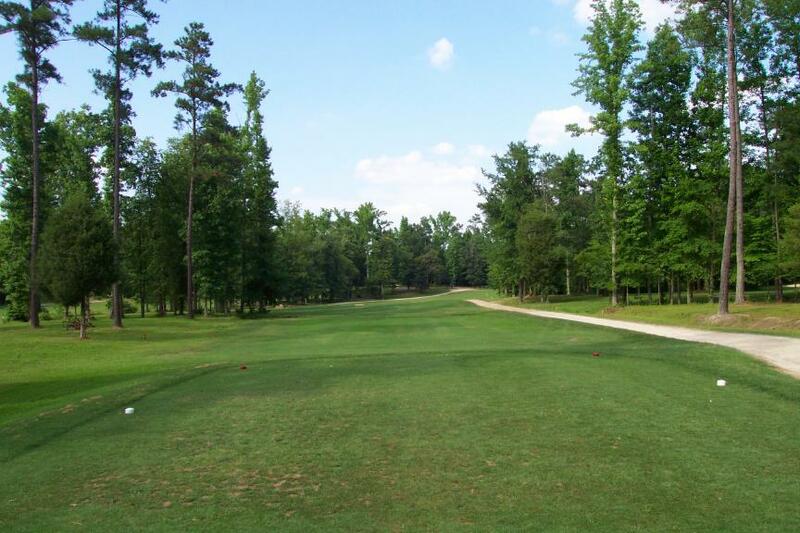 Your approach to the green will make you watch out for the sand trap on the left and a big Pine tree on your right. The difficulty of your second shot is very much dependant upon the outcome of your drive. Once on the green, you can see why this hole is known as the Rock Hole. 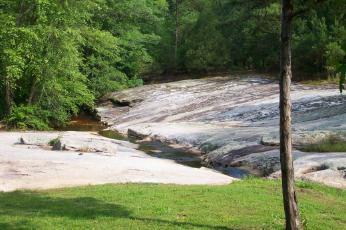 Early Indian tribes are believed to have used various depressions in the rock as washing areas.